Supreme Court judge Peter Charleton published his first interim report on the Disclosures Tribunal. In addition, he lists the parties – including journalists – who have been represented before the tribunal so far, and who represented them. Another privilege that is claimed is in respect of those who engage with journalists in the public interest to enable them to carry out the vital role of calling democratic and executive institutions to account. Some journalists have given witness statements in which they have helpfully specified conversations that have taken place outside of what they perceived to be the cloak of any such privilege, if it exists. Others have refused to say whether there is any relevant testimony which they might offer. The extent of that privilege and the circumstances under which is arises are both likely to occupy time. “On 30 March 2017, the Tribunal sat to hear applications for representation from interested parties… On that day, several representatives of journalists indicated an intention to apply for representation but declined to answer any questions from the tribunal as to whether the individual or organisation seeking representation even had any relevant testimony to offer the tribunal. 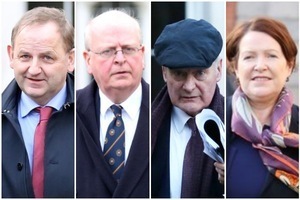 The Tribunal is grateful for the co-operating of parties in its work to date and it is hoped the Tribunal will conclude hearing evidence before the end of this year. It appears useful to the work of the Tribunal to divide its consideration of matters into about five substantial sections. What follows is only an outline. 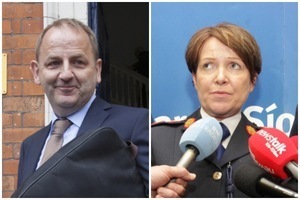 Of pressing public concern is whether or not files in certain State agencies, who here might be identified as Rian, the Health Service Executive and the Child and Family Agency, otherwise Túsla, were created and distributed or otherwise used by senior members of our police force in inventing or furthering a false allegation of sexual abuse against Sergeant Maurice McCabe. This will be the first section of public hearings. It is hoped to engage in these and to complete them in July of this year. Progress on this matter has moved very far but the analysis of relevant computers is essential and there are further interviews to be conducted by our investigations. 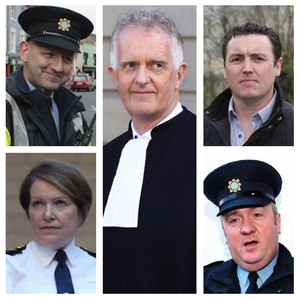 Concerns in relation to Garda Keith Harrison and his family and the same State agencies might be regarded as being similar in kind, if not in detail, and it is hoped to engage in public hearings on that issue in September of this year. Again, considerable work has been done. 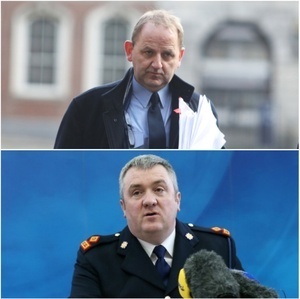 As to what may have been briefed to the then Garda Press Officer, Superintendent David Taylor for dissemination to journalists by former Commissioner Martin Callinan and then Deputy Commissioner Nóirín O’Sullivan, this is the subject of an inquiry in respect of which public hearings are hoped to be held, perhaps following a short break, in November. Allied to this section are concerns in relation to an engagement between former Commissioner Martin Callinan and John McGuinness TD that is said to have taken place on 24 January 2014, in a very specific location, according to the terms of reference. These sections do not seem to be divisible and evidence on one may be of assistance in the determination of what attitude was taken by those senior officers to Sergeant Maurice McCabe, if any, and as to how they responded or acted. A specific, and it would seem relatively short inquiry, is to be made in relation to broadcasts on RTE of 9 May 2016. This, in fact, consisted of several broadcasts and commentaries, and as to whether Commissioner Nóirín O’Sullivan was influencing, or had dictated, the terms of these in some way. The O’Higgins Commission was of course the subject of the commentary in relation to these broadcasts. 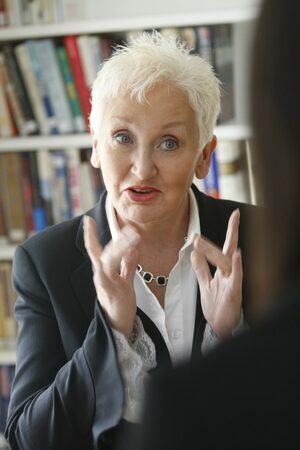 It may be logical to consider that with the question as to whether false allegations of sexual abuse or any other unjustified grounds were inappropriately relied upon by the Commissioner during the hearings before Mr Justice Kevin O’Higgins. It is hoped to dispose of these matters in December of this year. It is not within the terms of reference to re-run the O’Higgins Commission but, instead, that report is part of the evidence before the tribunal. It might usefully be read by all interested parties. Posted in Misc and tagged Charleton Inquiry, Disclosures Tribunal, Garda Keith Harrison, Noirin O'Sullivan, Sgt Maurice McCabe, Supt Dave Taylor at 9:46 am on May 18, 2017 by Broadsheet.